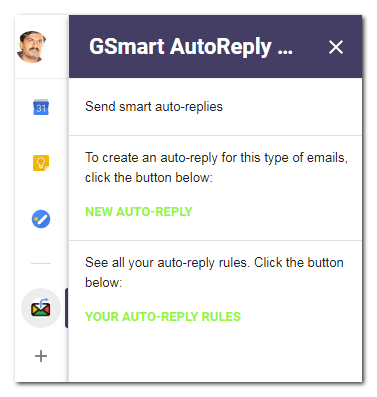 The GSmart AutoReply Addon connects you directly from your Gmail Interface to the GSmart AutoReply App. Clicking on the icon expands the Addon. Unfortunately because of some bugs submitting the addon to the Google’s Market place, the Addon is not yet available for installation. In the mean time, you can directly access the GSmart Auto-reply App. 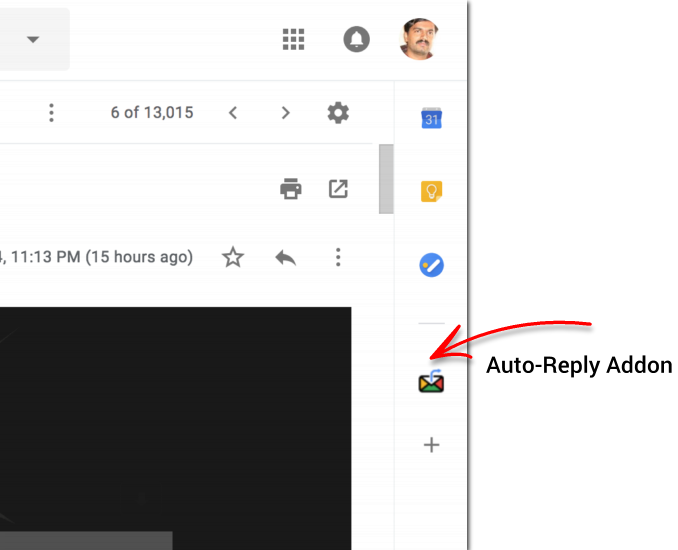 See a quick demo here: Automating Email Using AutoReply.